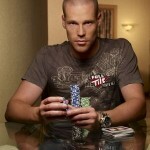 Full Tilt Poker Promotions – April 2010 - Casino Inside - Revista industriei de Gambling! One dollar is all you need to punch your ticket to the 2010 World Series of Poker* Main Event. Turn $1 into a $12K WSOP* prize package with our $1 Main Event Seat tournaments. Taking place at 13:30 ET (18:30 GMT) each Sunday from March 15th through June 27th, at least five prize packages will be awarded per tournament. You can buy in directly for $1 + $0.10, or satellite your way in for as little as $0.30 or 30 Full Tilt Points. There are 10 million reasons to win your 2010 World Series of Poker* Main Event seat at Full Tilt Poker with $10 Million Main Event Mania. If you earn your Main Event seat online at Full Tilt Poker and go on to win, we’ll give you a $10,000,000 bonus on top of your first-place prize money! Taking place five times each week from March 15th through June 27th, Direct Qualifier tournaments offer you the chance to win a $12K WSOP prize package. These tournaments feature a variety of buy-ins, from $200 to $1K, and all offer satellites starting for as little as $1 or 50 Full Tilt Points. With at least 150 Main Event seats up for grabs, the 150 Seat Main Event Guarantee tournament is your best chance to win a seat at the 2010 World Series of Poker* Main Event. Play in the 150 Seat Main Event Guarantee on June 20th at 18:00 ET (23:00 GMT) to win one of at least 150 $12K WSOP* prize packages. That’s $1.8 million in guaranteed prize money! Buy in directly for $600 + $40 or satellite your way in for as little as $1 or 50 Full Tilt Points. Win your seat to any of the 50+ preliminary events at the WSOP* by playing in Full Tilt Poker’s Race for Bracelets tournaments. These daily tournaments feature buy-ins ranging from $24 + $2 to $200 + $16 and award at least one $2K WSOP prize package which can be used to buy in to any 2010 Series preliminary event. For more information on the many ways you can punch your ticket to the WSOP* 2010, go to www.fulltiltpoker.com and click on ‘News & Promos’. *World Series of Poker and WSOP are trademarks of Harrah’s License Company, LLC (“Harrahs”). Harrah’s does not sponsor or endorse, and is not associated or affiliated with Full Tilt Poker or its products, services, promotions or tournaments. Play in our Full Tilt Poker Series – España Qualifier tournaments to win your seat in the best poker tournament series in Spain: the Full Tilt Poker Series – España. There’s €1 million in guaranteed prize money over four live events – you can qualify online exclusively at Full Tilt Poker. You’ll have three opportunities each week to win a $3,200 prize package to one of the four live events, with buy-ins ranging from $200 + $16 to $500 + $35. Buy-in directly to any of these tournaments or satellite your way in for as little as $5. 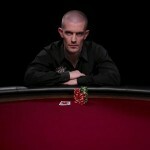 For more information go to www.fulltiltpoker.com and click on ‘News & Promos’. Win your seat to one of 11 live events with our Brazilian Series of Poker Qualifier tournaments. There’s over $1.3 million in guaranteed prize money, and the official crown of Poker Champion of Brazil, up for grabs at the Brazilian Series of Poker (BSOP). You’ll have three opportunities each week to win your BSOP seat and a shot at becoming Poker Champion of Brazil. With a range of buy-ins starting at $30 + $3, and satellites for as little as $3, you’ll have three chances each week to win your seat. Alternatively, qualify for free through one of our Freerolls. The evolution of poker is here. Rush Poker is the world’s fastest poker game, designed to minimize the wait between hands – and it’s only available at Full Tilt Poker. Unlike a standard ring game, when you play Rush Poker you’ll join a large player pool and face a different table of opponents every hand. When you fold, you’ll immediately be moved to a new table for your next hand. 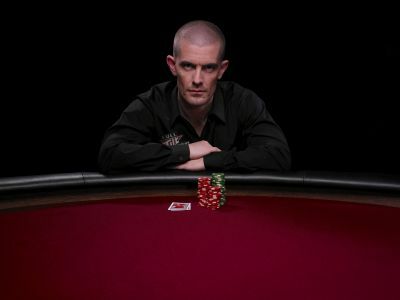 To play even faster, use the Quick Fold button to fold your hand right away – even if it’s not your turn to act. Be warned: Rush Poker is the most intense poker experience in the world. 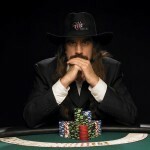 For more information on Rush Poker please see www.fulltiltpoker.com/rush-poker. Capitalize on your stack size by cashing out early with Full Tilt Poker’s Cashout Tournaments, which give players the option of cashing out some or all of their chips before the tournament has finished. Buy-ins are split between a regular tournament prize pool and a Cashout pool. Players compete for a share of the tournament prize pool, as in a standard tournament, but also have the option of making a partial or full cashout before the end of the tournament. Full Tilt Poker now offers players the chance to Run it Twice, an option that provides two outcomes for one hand by dealing community cards twice. When players sit down at a Run it Twice table, they can select Run it Twice by checking the box at the bottom of the screen. Once two players who have selected Run it Twice are all in heads-up, the remaining community cards are dealt twice. The winner of each outcome wins half of the pot. Run it Twice is available on select No-Limit Hold ‘em, Omaha Hi and HA ring-game tables – look for the Run it Twice checkbox. 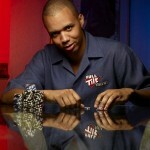 Check out the new Full Tilt Poker Store – it’s easier to navigate and we’ve added cool new gear. Swap your points for merchandise such as hoodies, deluxe poker chip sets, camcorders or a Harley-Davidson Night Train. Earn over $100 each for both you and a friend when you invite them to join you at Full Tilt Poker through the new Refer-A-Friend program. Every time a friend you’ve invited joins Full Tilt Poker and makes a real-money deposit, you’ll both earn cash bonuses as they play in any of our real-money ring games, Sit & Gos or Multi-Table Tournaments. There’s no limit to the number of friends that you’re allowed to refer. When referred players make their first deposit, they’ll also be eligible for Full Tilt Poker’s [100% First Deposit Bonus], where we’ll match their first deposit up to $600. Play for your share of at least $10,000 in guaranteed prize money with the $10K Daily Dollar Rebuy at 15:15 ET. Take another shot at $10,000 in guaranteed prize money at 20:15 ET by playing the $10K Daily Dollar. More than 1,000 places are paid – first place awards over $1,500. Play the Friday Night Fights $500 Knockout Tournament for your share of $75K guaranteed prize money. Running every Friday at 21:00 ET, you’ll receive $100 in your account every time you knock out an opponent. Buy in directly for $500 + $35 or satellite your way for as little as $1 or 50 Full Tilt Points. Watch Full Tilt Poker pros battle it out at the high stakes Main Event table and support your favorite pro by playing in one of our $5K Sweat Tournaments. Running at 20:05 ET on Fridays when a Main Event is in progress, if you win your Sweat Tournament AND if your pro wins their heads-up match, you’ll receive a free buy-in to the next $500 + $35 Knockout Bounty Tournament in addition to your prize money. 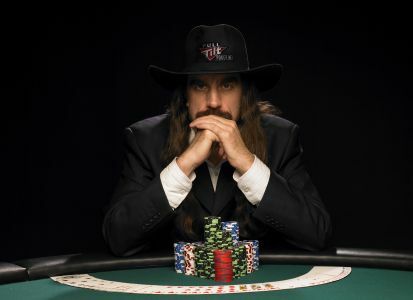 Learn from pros like Andy Bloch, Chris Ferguson and Howard Lederer at Full Tilt Poker Academy. Improve your game using a library of free multimedia content including video, podcasts, interactive quizzes and tests. Start by taking Lessons on strategy and watching live Sessions to see the theory in action. Then take an online Pro Challenge or interactive Sit-N-Learn to test your knowledge. It’s free to join and registration is quick and easy. If you already have a Full Tilt Poker account, log in using your username and password to get started right away. 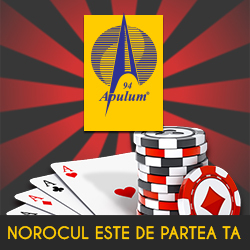 For more information and to enroll for free, go to http://academy.fulltiltpoker.com. Challenge yourself with Full Tilt Poker’s Matrix tournaments. You’ll sit down to four Sit & Gos simultaneously and face off against the same players at each table. Not only will you compete for first place at each table, you’ll also play for your share of an overall Matrix prize pool. Matrix prize pool points are earned based on overall performance across the four tables. You’re awarded one Matrix point for each opponent you outlast (Survival Points) and two Matrix points for every player you knock out at each table (Knockout Points). Players with the highest Matrix score at the conclusion of all four SNGs are awarded their share of the Matrix prize pool. No other tournament tests – and rewards – you for solid and consistent play like a Matrix tournament. For just $20 + $2 you can play for your share of a $200,000 guaranteed prize pool with the $200K Double Deuce. The winner’s share is guaranteed to be more than $30K every week. The tournament runs at 16:22 ET every Sunday. You can satellite into this tournament for as little as 50 cents or 50 Full Tilt Points. Every Sunday there’s more than $1 million in combined guarantees up for grabs. Start your day with the Sunday Brawl at 14:00 ET and fight for your share of $250K in guaranteed prize money. Play in the $750,000 Guarantee at 18:00 ET for your chance to grab a piece of our largest guaranteed weekly prize pool. Finish your day with the $150K guaranteed Sunday Mulligan at 19:05 ET. Satellites to these events start at $1 or 50 Full Tilt Points. One Sunday every month, we up the ante on the $750,000 Guarantee to $1 million. Running at 18:00 ET on the first Sunday following the 15th of each month, buy in for $500+$35, or satellite your way for as little as $1 or 50 Full Tilt Points. The Iron Man Challenge rewards you for dedicated play with exclusive gear and prizes, plus the chance to play in Bonus Freerolls and win up to $100K each month. Earn a set number of Full Tilt Points in order to reach Bronze, Silver, Gold or Iron status and you’ll receive Iron Man Medals for use in the Iron Man Store. Get your hands on exclusive Iron Man gear, Satellite tokens or even cash bonuses. Reach one of the status levels and you’ll gain entry to one of four Bonus Freerolls. Win your Freeroll and play the other three Freeroll winners in a winner-take-all Sit & Go for $5K. If you win the SNG, you’ll get to play heads up against three Full Tilt Poker pros for up to $100K. Earn double or triple Full Tilt Points by playing in your favorite games with Happy Hour. To find a Happy Hour table, look for games with the smiley face next to them in the lobby. Use your extra points for cool gear from the Full Tilt Poker Store, including plasma TVs, iPods and custom Full Tilt Poker jerseys. Players can double their chances to win every day by playing for their share of our three daily progressive jackpots. By turning in back-to-back performances in the Early Double ($5 + $1, 16:00 and 16:02 ET), Daily Double ($10 + $2, 21:00 and 21:02 ET) or the Big Double ($60 + $15, 22:00 and 22:02 ET), players will collect a percentage of the progressive jackpot for a double cash, best double finish, double final table or a double win. Turn a $50 buy-in into your share of a $50K guarantee prize pool by playing in the Fifty-Fifty Guarantee each night at 21:30 ET. Buy in directly for $50 + $5 or satellite your way in for as little as $1 or 50 Full Tilt Points and battle it out each night for a first-place prize worth at least $9,500. 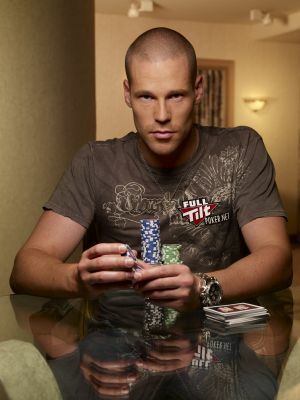 Full Tilt Poker has a full schedule of Guarantee Tournaments running around the clock daily. You can register for tournaments with buy-ins starting for as little as 10 cents to compete for your share of more than $11.5 million in guaranteed prize money every week. 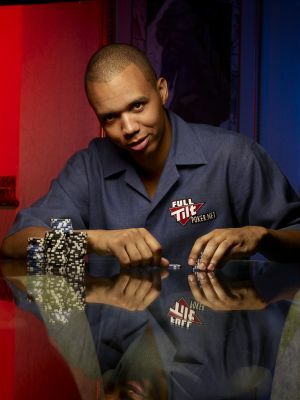 Visit the Promotions section at http://www.fulltiltpoker.com/ for all the latest information on what’s happening at Full Tilt Poker.